Exploring Australia is a dream for most backpackers, which is why so many of us choose to sign up for a one year work visa to make the most of this beautiful country. It’s a once in a lifetime opportunity, but to make the most of it you are going to need to find a job because Australia is expensive. One of the best resources in the web for fruit and vegetable picking in Australia is the government run website, Harvest Trail. Here you can find everything you need to know regarding finding a job in the fruit and vegetable picking industry in Australia. The website is easy to navigate and you can browse jobs by region and find out when crops are in season. Another useful resource for anyone planning on doing fruit and vegetable picking in Australia is WWOOF (World Wide Opportunities on Organic Farms). If you’re interested in doing voluntary work in Australia you can also check out Work Away, which is a work abroad website. Finding a job overseas, especially when your bank balance is almost empty is incredibly stressful, but it shouldn’t be. If you know where to look and what to look for, there are plenty of useful resources out there to help travellers find work in Australia. This guide will reveal some of those essential resources that you need to know about, as well as give you the most up to date information about everything related to getting a job fruit picking in Australia. Before I go into how much you can expect to get paid, it’s important to realise that some fruit picking jobs are a lot harder than other. Trying to avoid the thorns on a lemon tree while picking as quickly as you can is very hard work and you’re going to end up with lots of scratches. Picking strawberries on the other hand is easy in comparison, but you’re going to be on your knees all day, which is quite a strain on your back. The second thing that you should realise is that there are a lot of jobs associated with the fruit and vegetable picking industry. You have the people who pick the fruit, the people who pack the fruit, the fork lift drivers that move the fruit and the lorry drivers who transport the produce from A to B. You can find employment in any one of these areas and the more skilled the job, the higher the pay (a qualified fork lift driver can earn anything from $200-$800 a day, while pickers only get paid an average of $15 an hour or $70 a pallet. 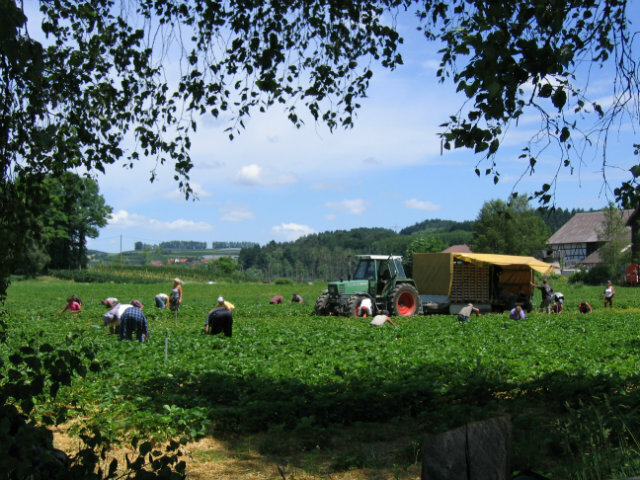 It is also possible to find work outside of the main fruit picking seasons is also possible. For example once the harvest season ends trees need pruning and crops need thinning. You can find work picking fruit in Australia at any time of the year, but employment opportunities vary by region. For instance in Queensland, which is where most of the nations fruits and vegetables are grown, the main fruit and vegetable picking season is from November through to January. New South Wales is another major fruit and vegetable growing regions and is one of the best places to find work as a seasonal labourer. The peak picking season in the state is between November to April. New South Wales also has a big livestock industry and you can find work on cattle and sheep ranches from April when mustering season starts. February is the best time to head to Victoria if you are planning on doing fruit picking. Most of the work is centred around the area surrounding the Murray River and the city of Shepparton. 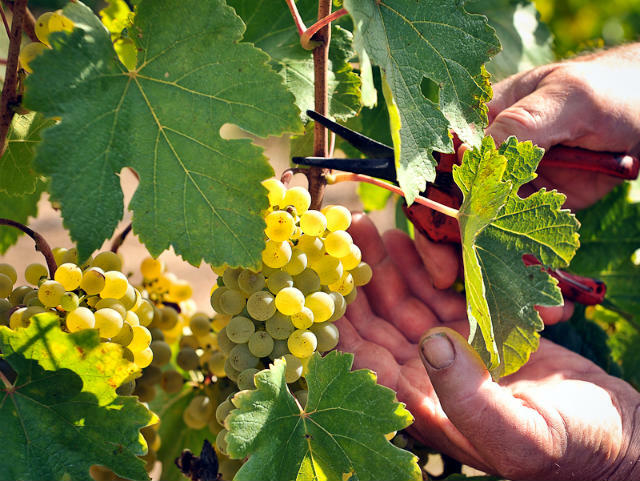 Due to the cooler climate in the highland river valleys, you can also find work in the many vineyards in the region. This link is a great resource for comtact information of employers in Victoria. Tasmania is an island of orchards and the primary crop grown here is apples. December through to May is the best time to head over here if you are looking for work as a casual labourer. There is no real agricultural centre for fruit growing and work can be found all around the island. It’s possible to find seasonal work all year round in South Australia. In the Barossa Valley, which is Australia’s oldest wine growing region, you can find work from February to April picking and packing grapes. The Riverland area, close to the Murray River, is where most of the fruit and vegetable farms are located. You can find work picking citrus fruit in the winter months and berries in the summer months. Fruit and vegetable picking jobs are to be found in the South West part of Western Australia. You can pick grapes and apples and pears from October through to June. In the North East of the state you can find work fruit picking and harvesting from May through to October. Alongside fruit picking, you can also get casual employment in the fisheries from March through to November. Fisheries work includes things like working on prawn farms and picking scallops. The best place to look for casual labourer work fruit picking in the Northern Territory is around Darwin and Katherine. May to October is when the melons ripen, while October to November is mango season. Citrus fruits and banana picking are also grown in the Northern Territory and these fruits are harvested all year round. thx for sharing this wonderfull post, i really appreciate it. how much money pay in this type of work? I will need a job in Australia, I do’t know if it will be picking fruits but this was useful. I always have this big dream that one day I be in Australia and work on a Farm. Can be any Farm Jobs. As long as I enjoyed it.